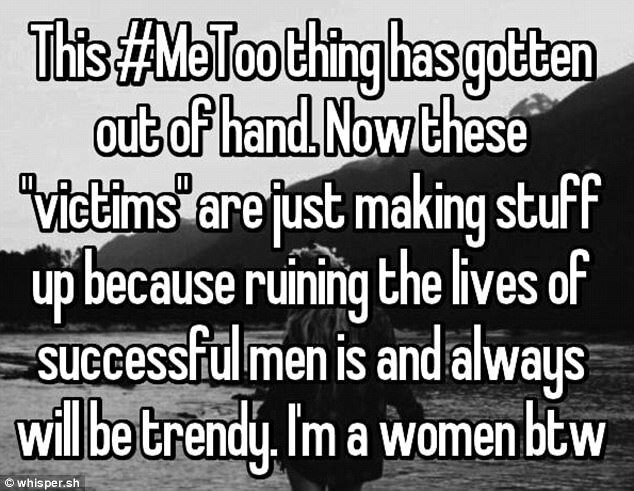 Viral campaign #MeToo has gone global as victims of sexual assault and harassment used the hashtag to share their harrowing experiences online. 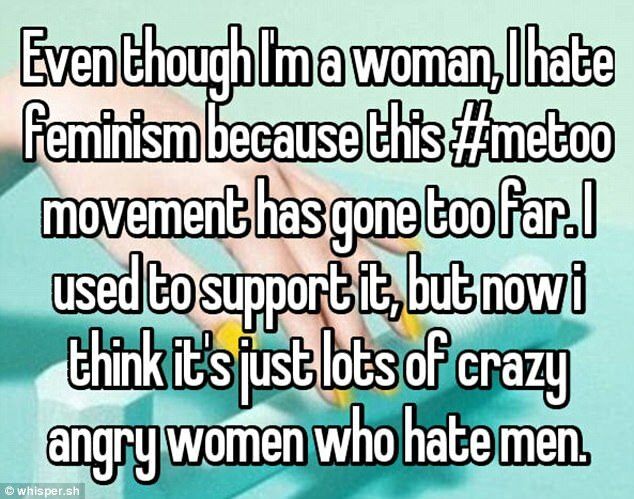 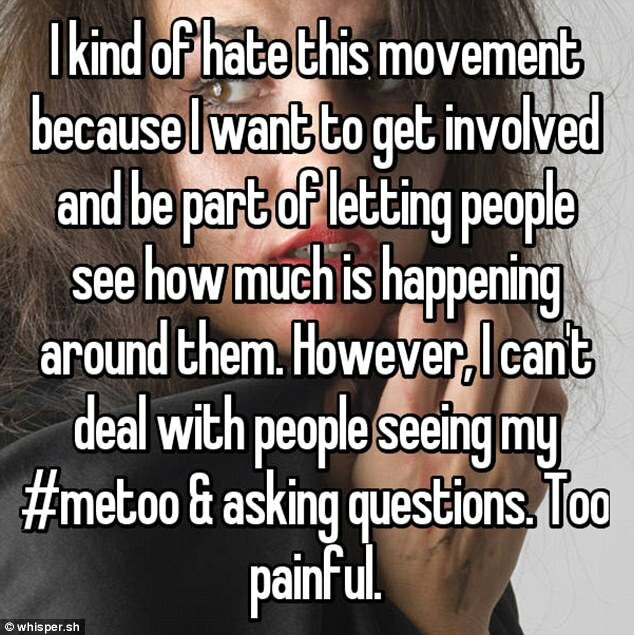 But a handful of women admit they have now grown sceptical of the movement as the number of people speaking out continues to grow. 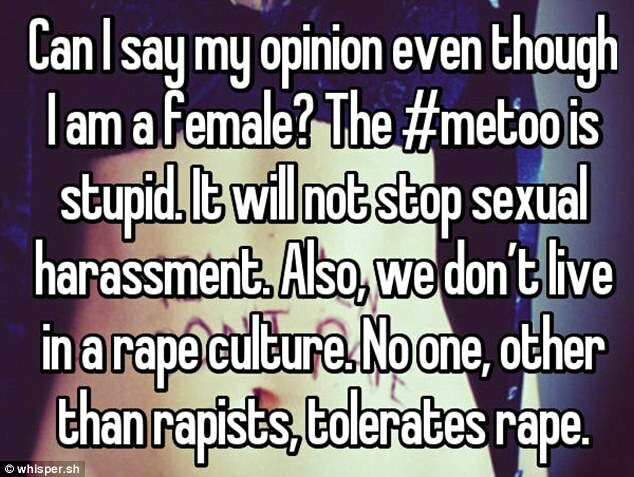 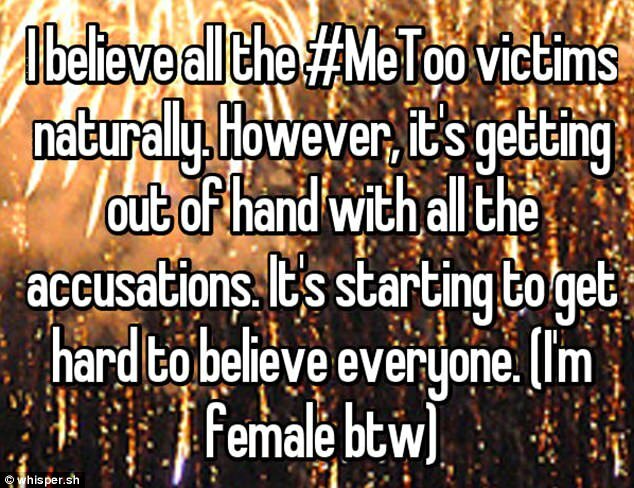 Sharing their views anonymously via social app Whisper, users from around the world - including a victim of assault - shared their true thoughts on the campaign. 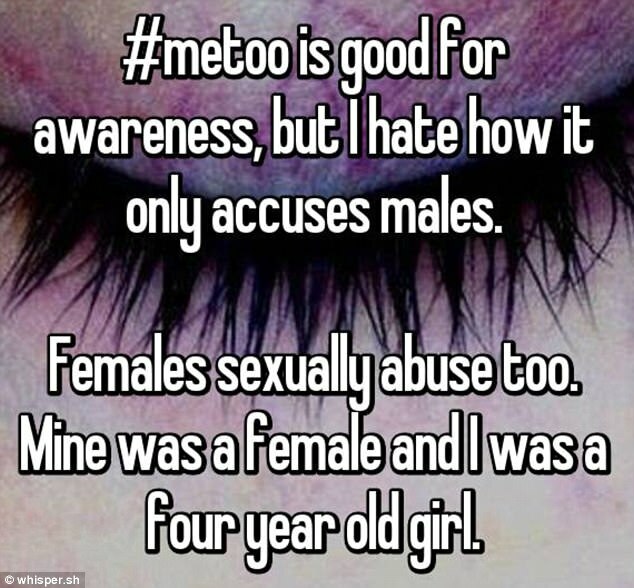 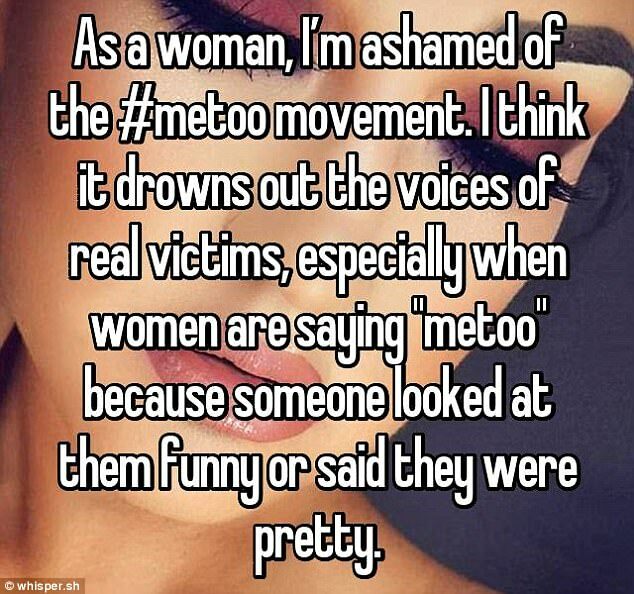 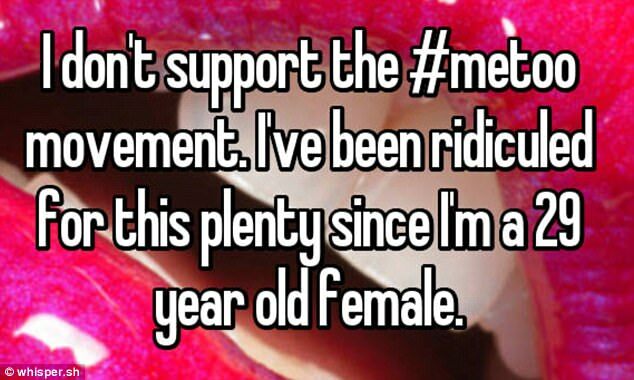 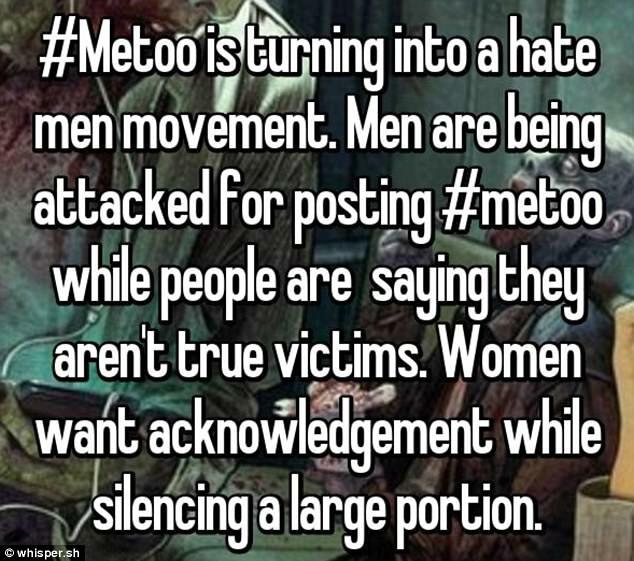 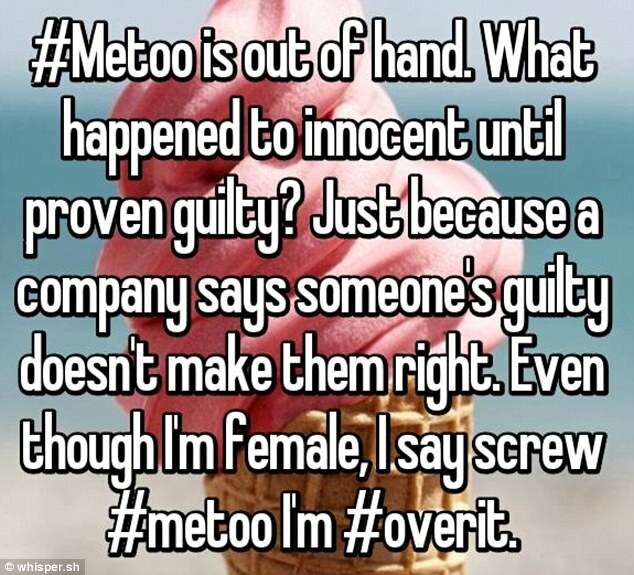 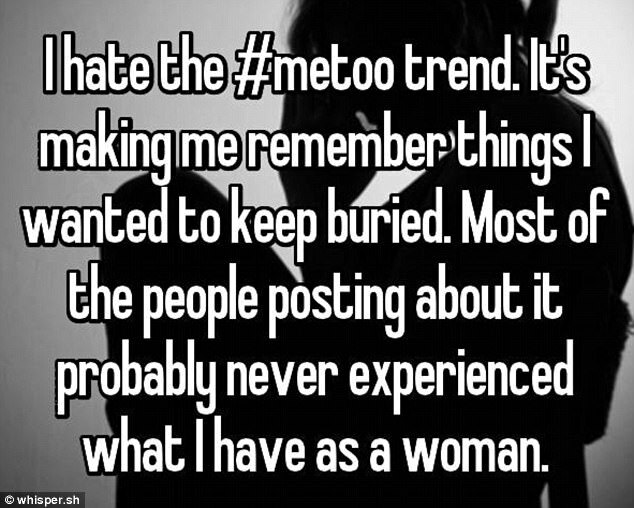 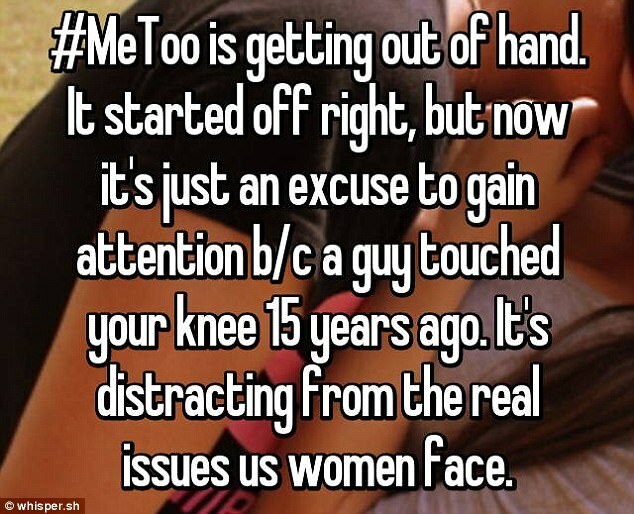 Many confessed they believe the hashtag is a distraction from real women's issues and attention seeking individuals now overshadow of real victims.